TECMI Industrial is an award-winning Argentinian company that manufactures packaging systems and a variety of automatic polyethylene film shrink-wrapping and packing machines. Established by professional technicians who trained in Europe, the company has many years of experience and is recognized and acknowledged internationally within the packing and packaging manufacturing sector. TECMI’s initial manufacturing lines were operated mechanically and were heavy-duty machines that offered rugged, reliable applications that would run 24/7. While TECMI machines are still highly robust and reliable, requiring minimal maintenance, today the company focus is on quality and affordability. When you buy a TECMI machine you can be assured you will be investing in equipment that will perform in accordance with leading European standards, at the best possible price-quality equation in the market. Machines range from simple semi-automatic equipment to fully-automated designs that are able to achieve 55 packs per minute (ppm), or 100 ppm if it is a double-lane machine. Cardboard pad and tray options are available. 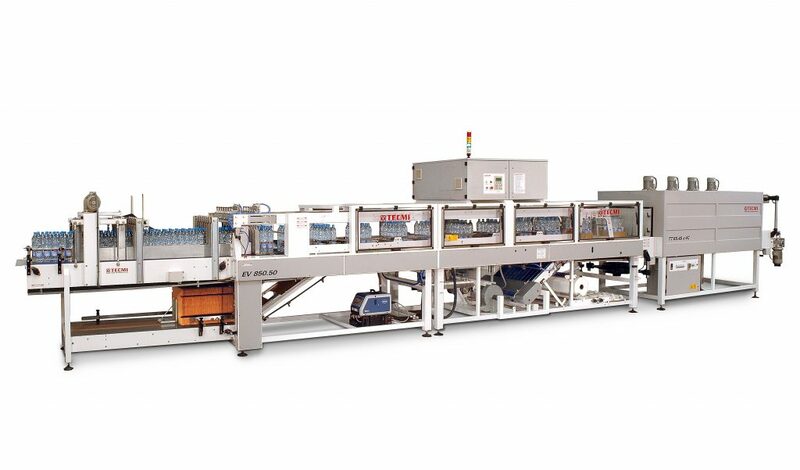 This automatic continuous wrapping machine is suitable for polymer plastic film used for shrink wrapping, with or without a cardboard pad, up to 50 to 100 ppm. Capable of shrink-wrapping up to 100 packs in one operation, this machine is available in multiple versions for all products including bottles, cans, jars, and spray cans. 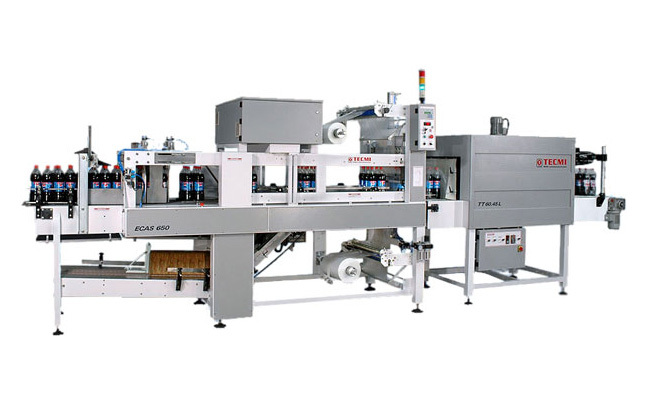 An automatic shrink-wrapping machine that is ideal for bottles, jars, cans, and aerosols, it is available in both single- and double-lane designs can be used with cardboard trays. Ideal for packs that aren’t standard in terms of configuration or content, this versatile machine allows fast-format changes within minutes and accepts the full range of containers. 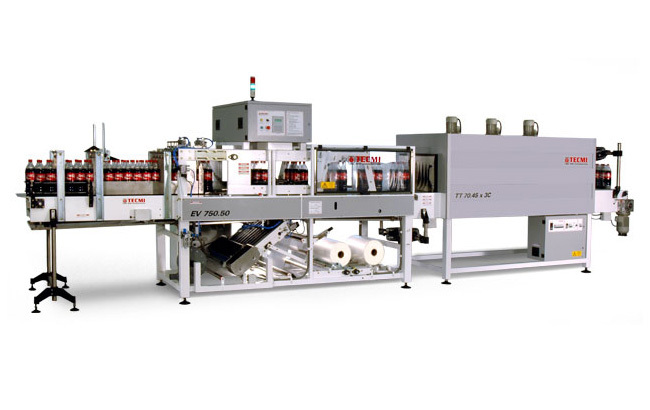 A sophisticated automatic shrink-wrapping machine that incorporates a welding bar for sealing and is suitable for production lines utilizing bottles, boxes, cans, jars, and spray cans.